A new global specialty insurer expected several high-volume contracts to renew, even as it was rapidly growing its North America business. Its CAT modeling unit sought to enhance modeling capacity for a high volume of renewals, as well as for rapidly expanding business lines. Since renewal work must be completed on rigid schedules, time was of the essence. Process automation was required at multiple levels of the modeling lifecycle, especially in financial modeling. 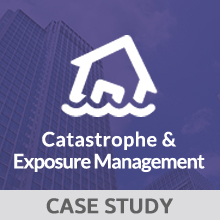 To complement the insurer’s own CAT modeling resources, we brought in members of the Xceedance CAT modeling, technology, and client-management teams to reduce modeling time and effort. We incorporated data warehousing technologies for better quality control and data governance — and increased the frequency and accuracy of model runs. The results of those models allowed the insurer to better estimate its loss-reserving requirements and optimize its business portfolio. This must be a record! Keeping up with the peak season volume without the Xceedance CAT team’s innovative approach would have been impossible. Kudos for making this happen on such short notice.